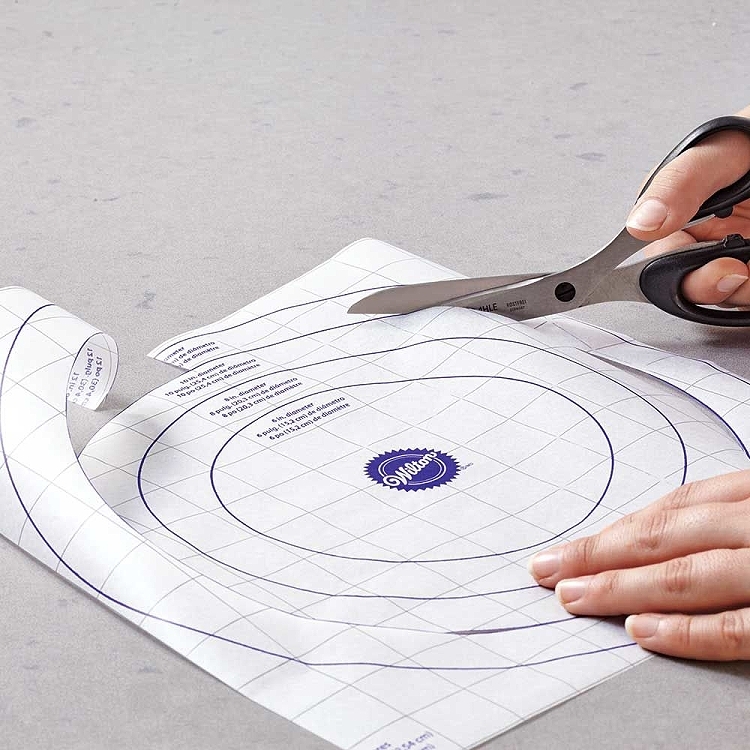 Correct Cut Printed Parchment, with pre-printed guides make it easy to cut the perfect size parchment to fit your cake pan! 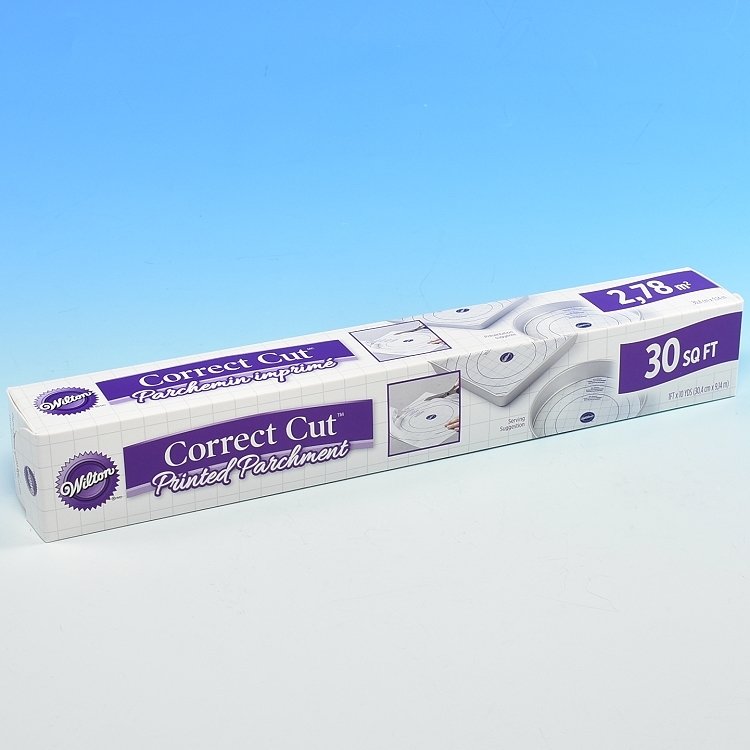 Simply cut along the purple grid lines for precisely sized parchment rounds, squares and rectangles. 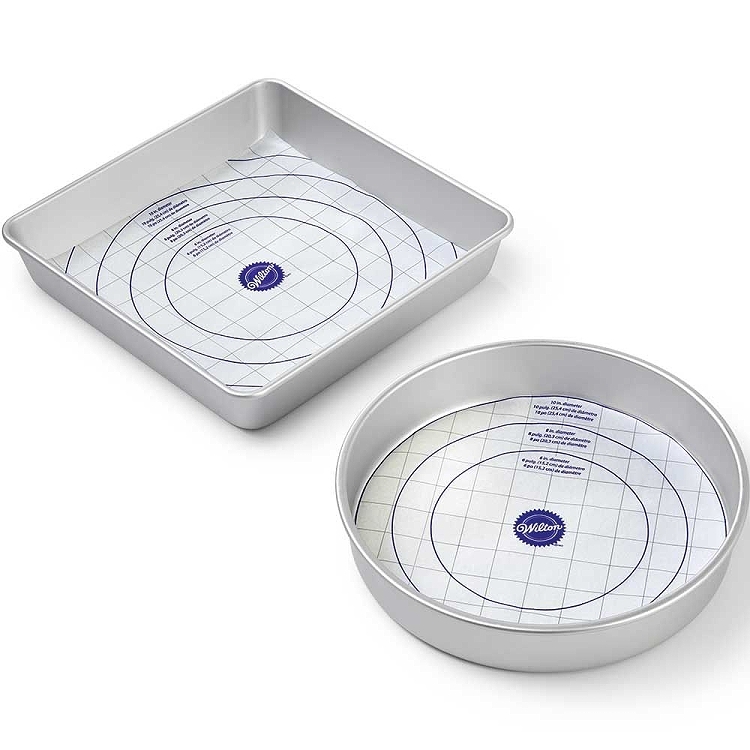 Non-stick parchment allows you to lift food right from the cake pan. 30 sq. ft. (2,78 m) roll.